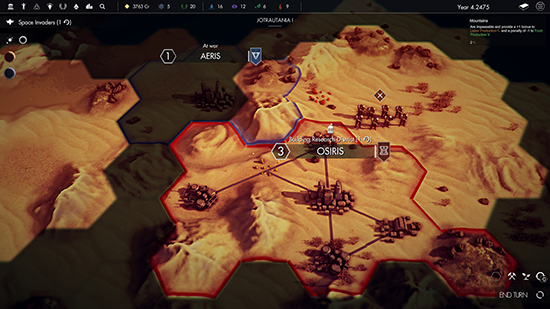 In this sci-fi turn-based 4X strategy game, you may choose one of several factions divided between three races, and establish yourself in Eos. Explore new worlds and new star systems filled with exciting secrets as well as terrible dangers. Build great cities and expand your influence through efficient diplomacy, or prepare for battle on land and in space when diplomacy fails, or for when you’re just a warmonger. - Discover Eos’s secrets and solve quests, build space bases and outposts. The latest in Iceberg Interactive’s lineage of 4X strategy games with the sci-fi Civ-like ‘Pax Nova’. The game will enter Steam’s Early Access program in December of 2018. This is Greywolf’s sophomore outing in the 4X genre after last year’s Dawn of Andromeda, a pure space 4X game also published by Iceberg Interactive. The trailer reveals Pax Nova’s dual-focus on both planetary and deep space exploration. Players build settlements and place troops on the surface of planets and explore the stars using fleets, managing both phases of exploration and warfare.